MAY, Hayden Barkley (b. 1935) of Oxford, OH died March 17, 2018. Emeritus Dean of Fine Arts at Miami University, professor, architect and urban planner. Devoted husband of Cynthia P. May for 60 years. He is survived by children Jennifer Brockman (Mark), Melissa May (Bill), and Betsy May-Salazar (William), 9 grandchildren, 1 great-grandchild, brother David May (Nancy) and many friends. A Celebration of his Life will be held on Wednesday, March 28 at 2 pm at Holy Trinity Episcopal Church, 25 E. Walnut Street, Oxford, OH with a reception to follow. Arrangements are being handled by Ogle & Paul R. Young Funeral Home. In lieu of flowers, memorials may be made to the Hayden & Cynthia May SFA Support Fund with checks made payable to Miami University Foundation, Gift Processing, 725 E. Chestnut St, Oxford, OH 45056. Hayden Barkley May was born in Gary, Indiana, in 1935, and grew up in Bluefield, West Virginia, where he graduated from Beaver High School. He was the son of a minister and high school math teacher. He attended the University of Cincinnati School of Architecture and served in the Army ROTC program. While a student at UC he completed internships with well-known architects Woody Garber in Cincinnati, and Alexander Blount Mahood in Bluefield. He married Cynthia Pickens in 1958 and had their first daughter, Jennifer, during this time. Upon completion of his undergraduate degree, Hayden served in the Army as a 1st Lieutenant Artillery in the 2nd Howitzer Battalion 39th Artillery in Schweinfurt, Germany for three years. The May family lived with the Biebersdorfs -- a German family in Wurzburg -- and Melissa was born in 1960. This began a life-long love of travel and international culture. In 1963, after Hayden finished his commitment to the Army, the family left Germany for three months of travel through Europe before returning to America. Hayden then attended Cornell University, earning a Master’s in Urban Planning. Following graduation, Hayden taught at the University of Cincinnati in the Department of Planning from 1965-1976. Hayden and Cynthia’s third daughter Betsy was born in 1965, and the family settled in Glendale, Ohio the subsequent year, where they remained to raise the family. In 1972-1973 Hayden was a Senior Fulbright Lecturer at Middle East Technical University in Ankara, Turkey, where he took the entire family for a year-long, life-shaping adventure. Hayden also conducted professional architectural work through May Noe Planning and later as May Architecture. His work included an addition to the Glendale house and then he designed and built their dream house in Oxford, where he and Cynthia relocated in 1984 after the girls had all graduated from High School. Other architectural commissions include projects in Ohio, Illinois, Virginia, California, and Canada which reflected his appreciation for regionalism and respect for site-specific design. Hayden started at Miami University as Chairman of the Department of Architecture 1976 and was appointed Dean of the School of Fine Arts in 1983. During these years he and Cynthia enthusiastically supported performances and exhibits from all of the arts and especially enjoyed hosting guest artists and faculty to their home. He remained active professionally and in classroom, teaching throughout his tenure. 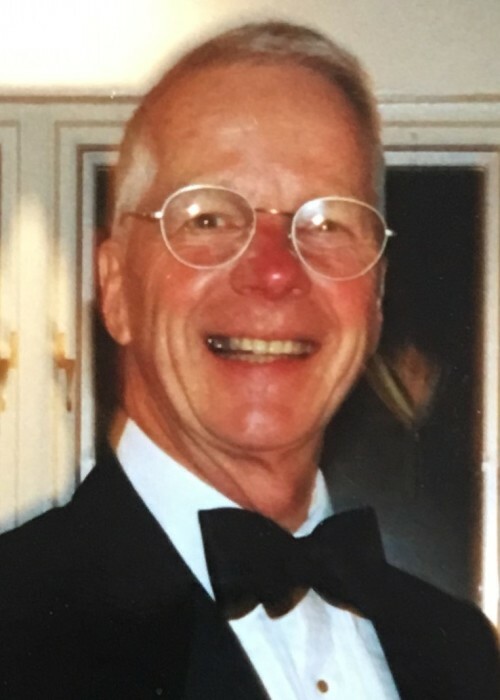 He served as fellow at the Charles E. Daniel Center, Clemson University in Genoa, Italy, and spent several semesters at Miami University’s Luxembourg campus. Additionally, Hayden served on the Cincinnati Urban Design Review Board and held memberships in the American Institute of Architects, the American Planning Association, the MacDowell Association, and the Glendale Literary Club, among others. Hayden pursued many passions with the same commitment and gusto as he did his career. He had a strong personal faith and was active in the church throughout his life. He loved music; playing the piano and singing. Hayden lent his bass-baritone voice to the Oxford Chorale Ensemble and to the Trinity Choir of Men and Children as well as to the Adult Choir at Holy Trinity. He loved traveling, biking, wine, food, entertaining, music, art, theater, Shaker architecture, museums and museum architecture. He was adventurous and led the family on many travels near and far. He enjoyed spending time on the Kentucky farm where his father had grown up and where his brother David and his wife Nancy now live. He also enjoyed the ongoing tradition of family reunions that kept extended generations connected. He welcomed each new spouse and grandchild into the fold, introducing them to some of his favorite things like fishing, playing in the creek, and hiking. Hayden was an inspiring and encouraging father to his three daughters – teaching them that they were strong, capable women who could achieve anything they desired. He supported each in his own way as they pursued their personal and professional paths. Above all, the foundation of the family was the 60 year marriage of Hayden to Cynthia, who predeceased him by six months. Theirs was a strong and loving relationship that set a standard of mutual support, respect, and loyalty. This was especially evident in Hayden’s devotion to Cynthia’s care during her long struggle with Alzheimer’s disease. He worked hard to continue her traditions with the family for the children and grandchildren, becoming closer to his daughters in the process. Even as Parkinson’s disease began to limit his life he continued to be diligent and watchful over her, loving her to the end. He will be greatly missed by all who knew and loved him.